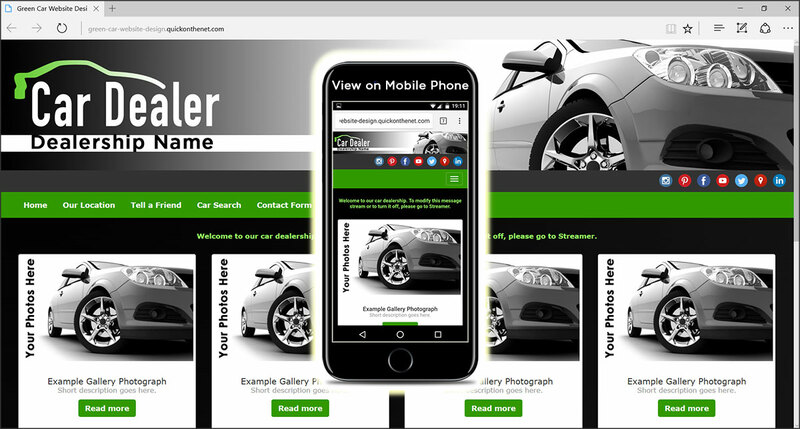 We offer a range of web template designs for driving schools, car dealers, auto repair services and car servicing. 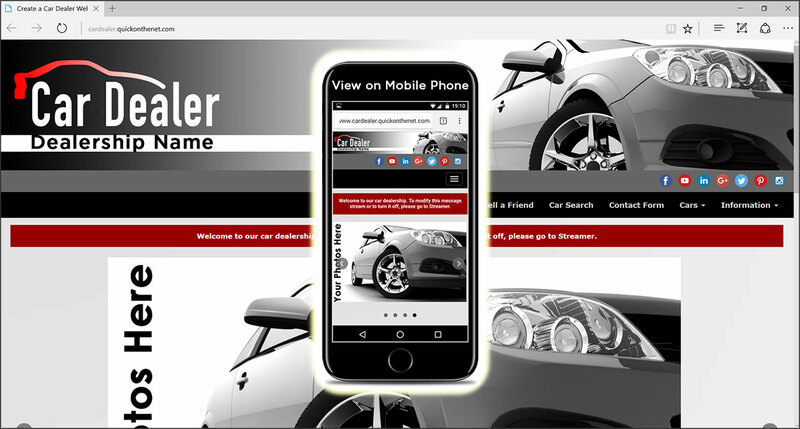 We provide details on how to create a car dealer website, driving school website or car repair services website. 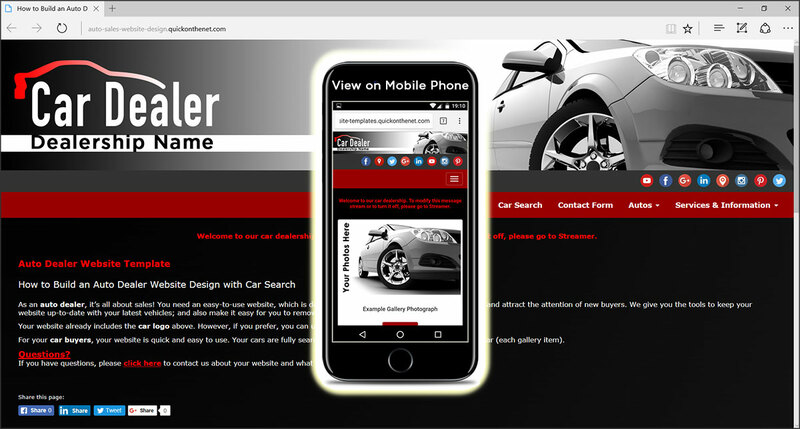 If you want to learn more, we have prepared a car sales site with links, resources, tips and advice to help you get started and build a car dealer website. This creative concept provides a green car logo on a stylish silver web template with vibrant roll-over highlights. Using a fixed width creative scheme, we have produced a green car logo concept and stylish website template presented in deep black and vibrant green colours. As a car dealer, it’s all about sales! 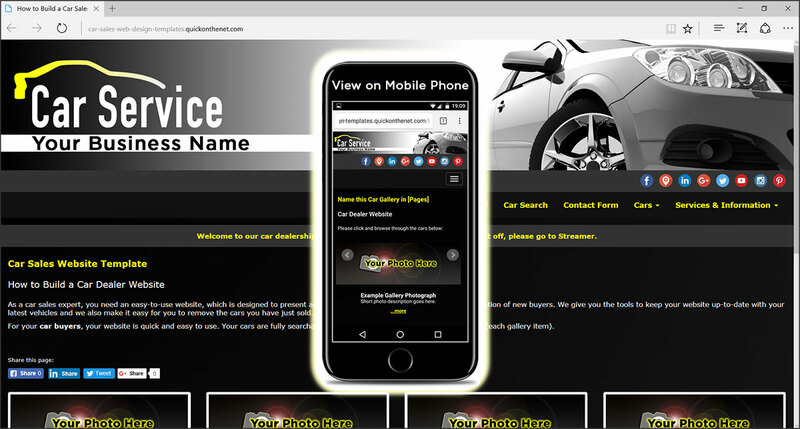 You need an easy-to-use website, which is designed to present appealing photos of your cars and attract the attention of new buyers. We give you the tools to keep your website up-to-date with your latest vehicles; and we also make it easy for you to remove the autos you have just sold. After completing your purchase, we will give you instant access to our site builder toolkit and then you can upload your own product photographs, graphics, backgrounds, animations, and much more. This solution is ideal for automotive shops and valeting equipment supplies. Just log in, name your product groups, add your product photos and then paste in your PayPal payment buttons. Simple! 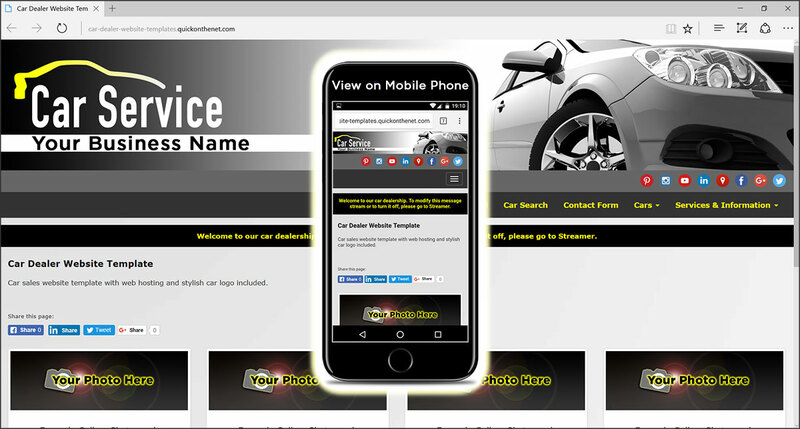 We give you the tools to keep your website up-to-date with your motoring services; and we also make it easy for new customers to contact you directly, using a car service booking form. Customise this solution for your valeting service or breakers yard business.